Announcing our first two Hands On Forcible Entry Classes for 2014. We have been asked to be part of one of the best conferences I have seen in Colorado for a long time. 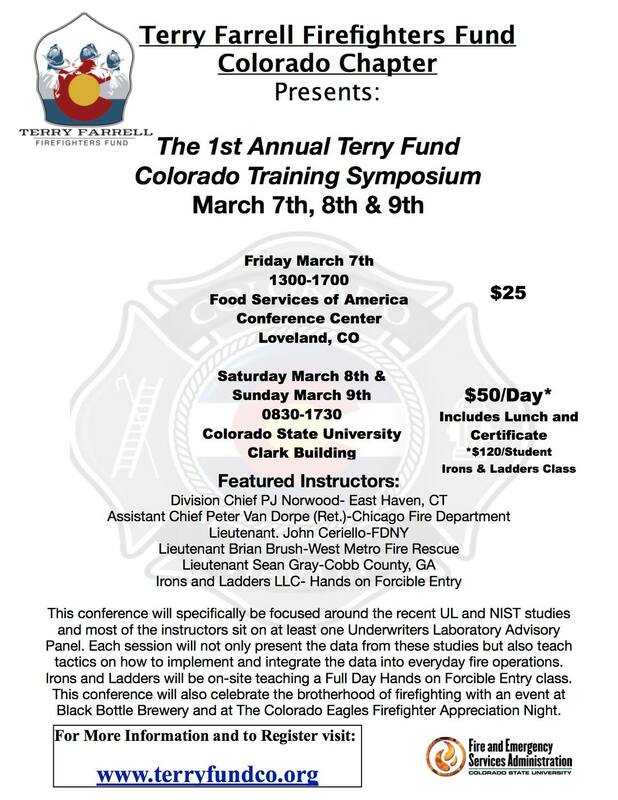 There is an amazing lineup of instructors and the best part is, all of it benefits the Colorado Terry Farrell Firefighters Fund. This will be the only classes we are able to do in the spring, we will be busy with closed session classes until May. Sign up for our classes either on March 8th or March 9th. Visit this link to register now to save your spot. This entry was posted on 02/08/2014 at 12:55 pm and is filed under Uncategorized. You can subscribe via RSS 2.0 feed to this post's comments. You can comment below, or link to this permanent URL from your own site.